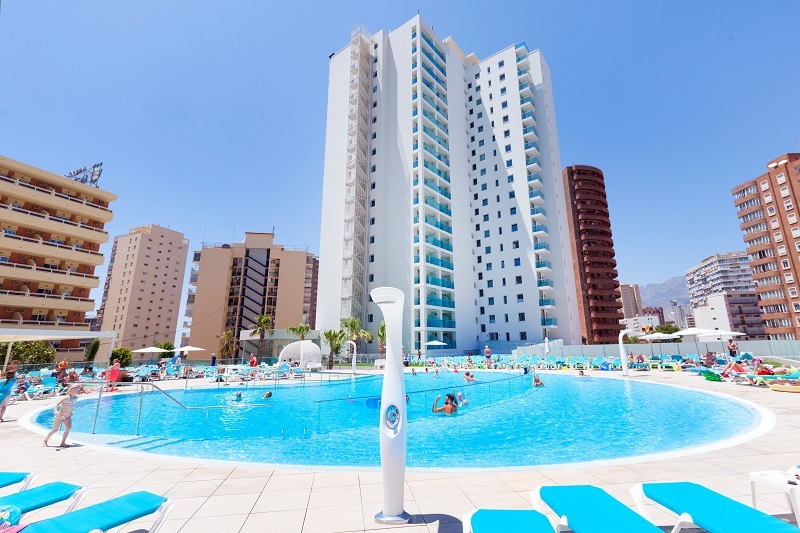 When it comes to fantastic value ALL INCLUSIVE sunshine holidays, Benidorm does it better than any other resort in Spain. 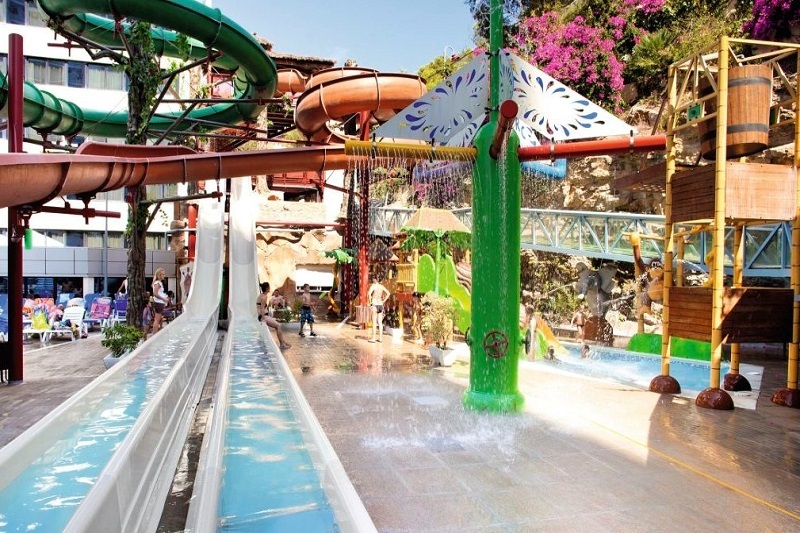 With huge fine sandy beaches that curl around the resort for almost 4km and tons of things to do including water parks, animal parks, a zoo and adrenaline boosting theme parks, Benidorm does it BIG and does it WELL. Grabbing an ALL INCLUSIVE holiday is the best way to ensure your money goes further, with three meals a day, snacks and unlimited drinks included. Plus book a package deal and your flights, luggage and airport transfer are all thrown in too. ALL INCLUSIVE holidays are popular in Benidorm and with a massive choice of hotels to pick from, that can be quite daunting! Fortunately, the solution is easy as the biggest provider of ALL INCLUSIVE sunshine holidays in the UK is on hand to make it really easy to find a hotel that ticks all the boxes for British guests. Part of the TUI group, FIRST CHOICE has been in the business of holidays almost as long as Benidorm. They know a thing or two about what makes an ALL INCLUSIVE holiday go with a swing, it is all they do, they are the “home of all inclusive”. 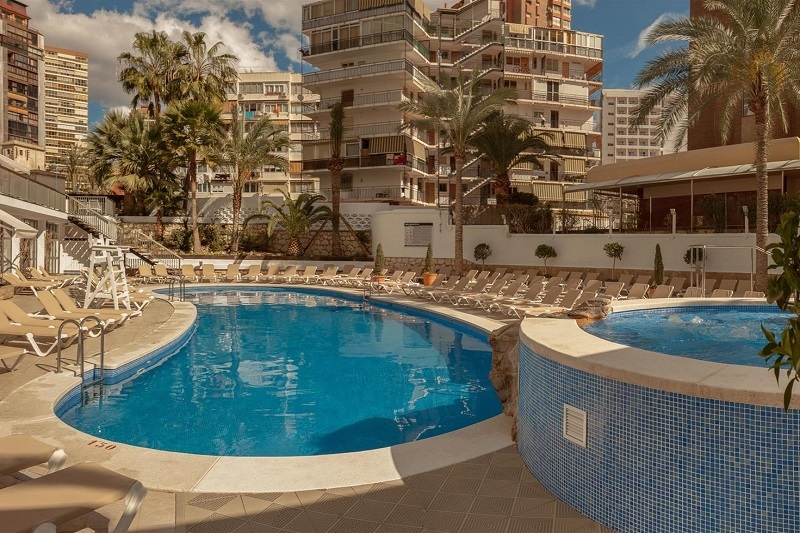 FIRST CHOICE offers a selection of carefully hand-picked hotels in Benidorm located in top places near the beaches and ideal for couples, families and solo travelers. 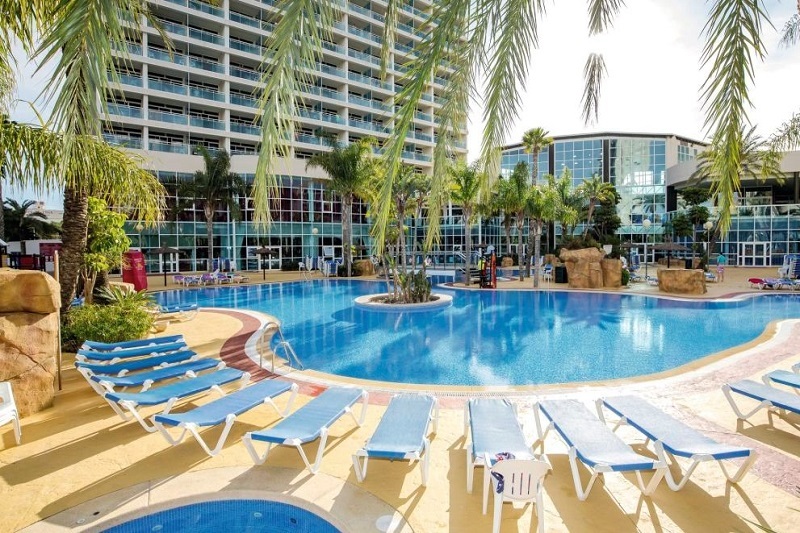 Here is our rundown of each hotel to help you decide and book your 2019 holiday in Benidorm. Plus pay low deposits from £50. Completely renovated in 2016, located a short walk from the Levante beach and old town. You will find two pools (one summer only), a kids splash area, pool slides, outdoor Jacuzzi and a quiet area. There are plenty of sunbeds and a pool bar and café. This adult only hotel is for grownups and is plonked right near the beach and the entertainment scene. The Levante beach is less than five minutes’ walk. 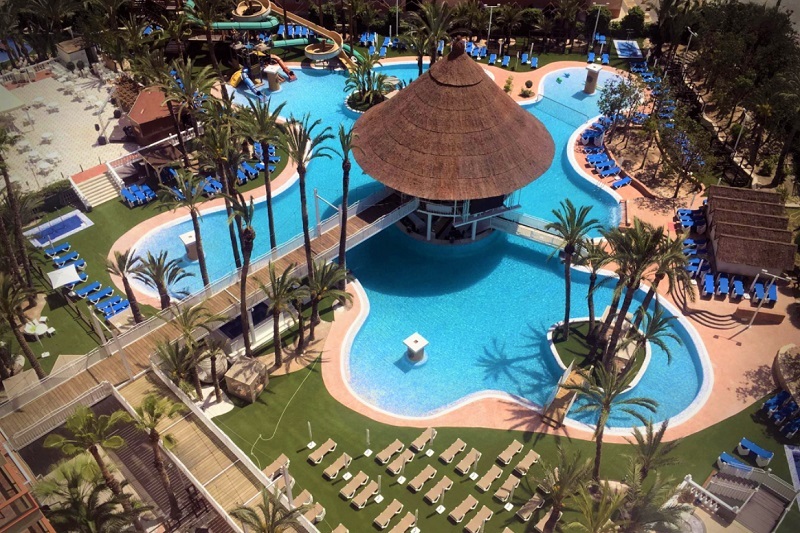 The Riudor gives you a huge pool and a huge buffet and guests just keep coming back for more, making this a popular choice for a classic 3-star holiday in Benidorm with everything included. In a good location with easy access to both the old town and Rincon de Loix and the Levante beach all just a 15-minute walk away. The hotel gets a high score from previous guests who consistently rate it as “fabulous” in online reviews. Located away from the center yet just a 5-minute walk to a range of bars and a 15-minute walk to the beach. A music-themed hotel with regular live entertainment and music from the 70´s, 80´s and 90´s, sure to get you up on the dance floor. 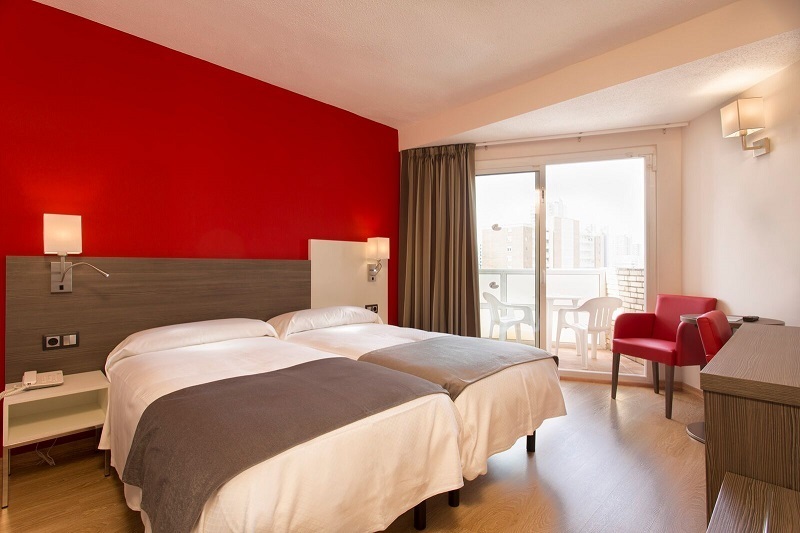 This grownups hotel gives you a holiday located on the edge of old town and city with shops and bars nearby and the Levante beach a 10-minute stroll way. 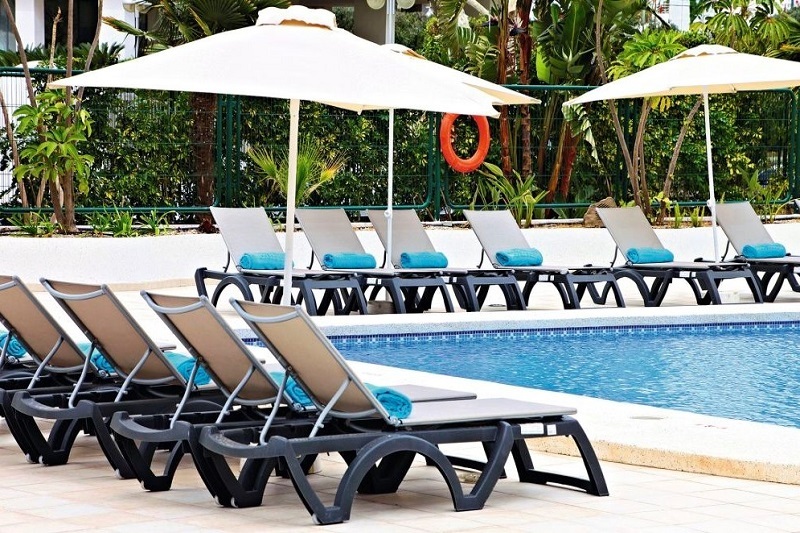 In a top spot with bars and cabaret bars nearby plus the Levante beach about 15-minutes way. 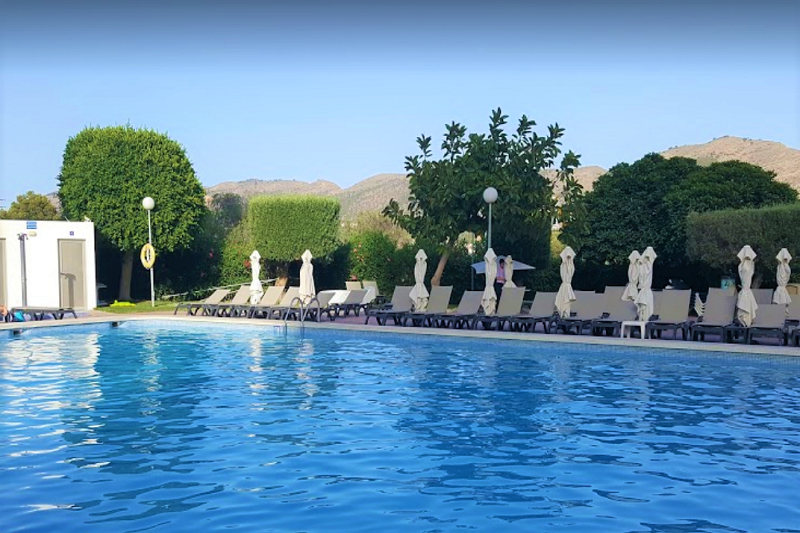 The hotel boasts a big lagoon pool, a choice of four bars, a buffet restaurant and great entertainment with themed shows such as ABBA and Westend Musicals. There are family rooms, adult only rooms and premium rooms plus in summer a kids´ club from TUI Family Life! 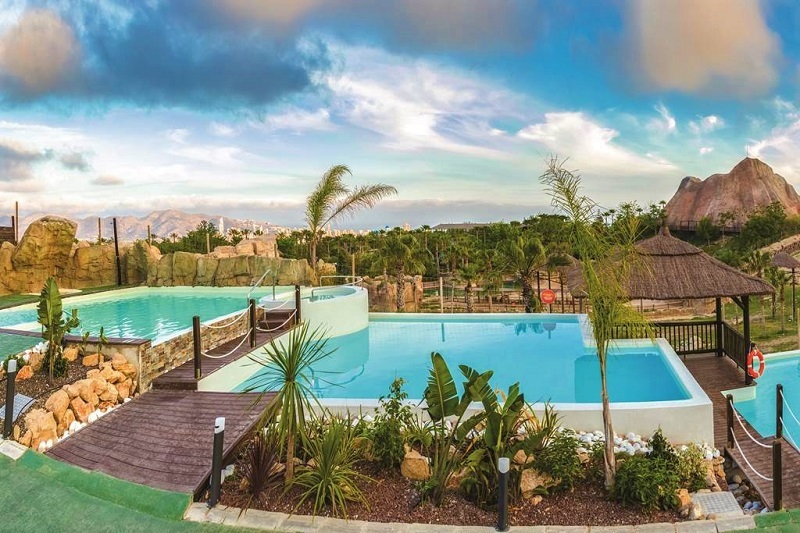 This one includes unlimited access to the on-site Aqua Natura waterpark (Open May to October) and next door the Terra Natura animal park, plus you get to stay in a Polynesian style wooden lodge with your own terrace, making this the perfect family holiday resort. Benidorm is just a 10-minute drive away and a free shuttle bus takes you there and back. With day and night activities, entertainment, a spa and the biggest sandy beach less than two minutes away the PORT hotel Benidorm has earned a reputation as a top spot in town. Rooms are funky with glass-walled bathrooms, rainfall showers, smart white furniture, a little fridge and balconies, almost all with a sea view. An African Savannah-themed resort hotel big on water fun with pool slides and in-pool loungers plus splash pools for the kids (May to October and Easter weather permitting), there is a swim-up bar and a huge screen above the main pool. A mini-club runs in summer to keep the kids happy. 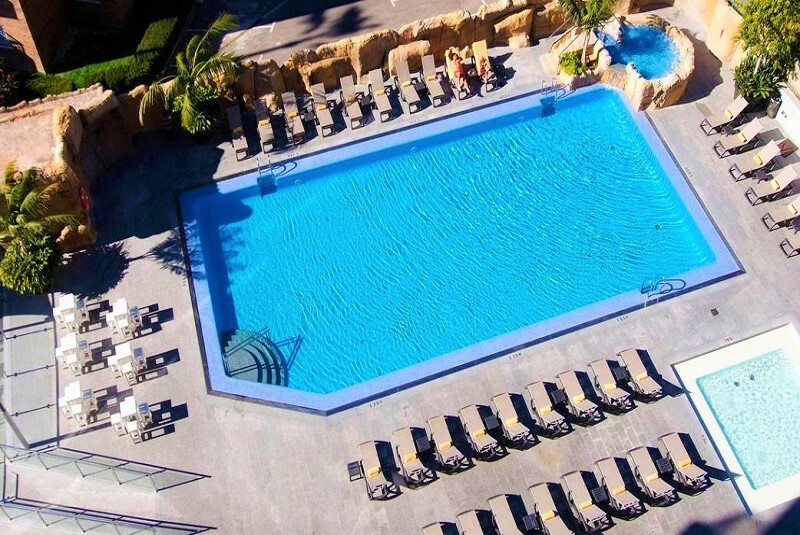 Located in Cala Finestrat on the far side of the Poniente beach the water-themed aparthotel offers a massive lagoon pool with three slides, two kiddies pools, a swim up bar and is surrounded by terraces with sun loungers and shaded palm trees. The all-inclusive deal here includes local and also a range of international brand spirits, making this a good choice for those who like quality drinks. A buffet restaurant serves all meals plus enjoy snack bars too. Adults will find a grownups only terrace and the little ones will find a mini-club. Are you undecided or just browsing? 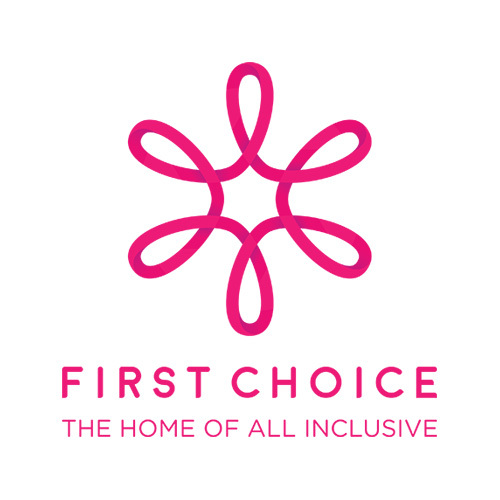 See all the latest offers, discounts and late deals from FIRST CHOICE, home of all inclusive holidays!